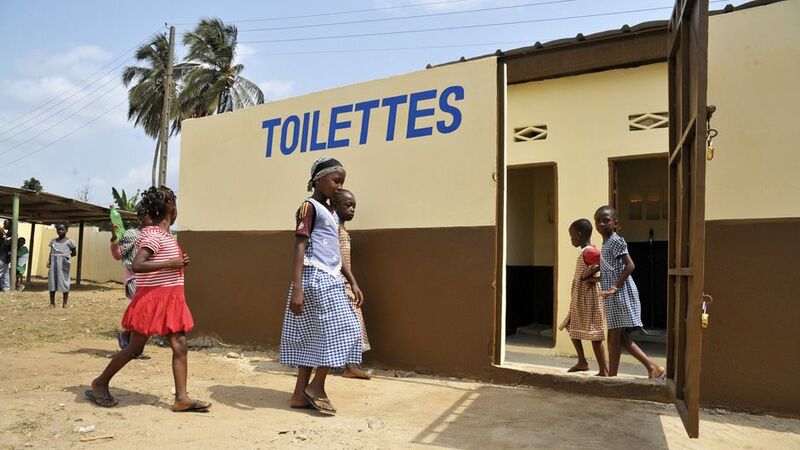 About 2.5 billion people in developing countries, particularly in sub-Saharan Africa and Asia, lack adequate sanitation facilities, and about half only have the option of defecating in the open. As a result, disease-causing pathogens contaminate water supplies used for drinking and cooking — over 700 million people currently lack access to improved water. Unfortunately, improved sources do not mean the water is necessarily safe to drink; almost 2 billion people lack access to safe water. Lack of potable water takes a heavy toll on health; about 600,000 children die each year from preventable diarrhoea. Poor sanitation erodes resilience and productivity, reinforcing disadvantage in rural, remote and otherwise marginalised (RRM) communities. It also perpetuates gender-based inequities, indignities and risk of physical harm, because the traditional roles of the female members of RRM communities centre on water collection and family caregiving: “Girls miss school because of a lack of sanitation and menstrual hygiene facilities. Women miss work to care for sick family members, and both women and girls face physical and sexual assault when water carrying or seeking a place to defecate,” explains Dr Corinne Schuster-Wallace of the United Nations University’s Institute for Water, Environment and Health (UNU-INWEH) in Canada. Schuster-Wallace is the principal investigator in an extended research programme on water, sanitation and hygiene, named WaSH and Wellbeing. The project’s approach is to explore knowledge, attitudes and practices at the water-health nexus through community-based, multi-stakeholder investigation. This is achieved by examining physical, social and political systems and developing tools for local use — particularly where resources are few — to support evidence-informed decision making. Furthermore, the programme develops innovative frameworks that overcome financial constraints, while providing comprehensive solutions. Investigating local knowledge, attitudes and practices with regard to preventing waterborne disease is therefore the first line of research. Schuster-Wallace’s team has developed approaches for collecting data from people who are normally difficult to reach; for example, working with community leaders to identify study participants, applying community mapping to collect local knowledge and identify priorities, and using Photovoice as a data collection tool to record in-depth individual interviews. In this way, the researchers have collected data from countries such as the Dominican Republic, the Philippines, Uganda, Kenya and Sierra Leone. For Schuster-Wallace, a key point of interest is that RRM community perceptions of risk are consistent, and consistently wrong: “In almost all countries, people believe that if water is clear, it must be clean, even though pathogens are microscopic,” she observes. Cost, misconceptions about the cause of disease, and traditional practices and beliefs often undermine the use of sanitation facilities in RRM communities, even where they are provided. The WaSH and Wellbeing programme works on the understanding that the key to ensuring uptake is working with the community; first to understand the population’s beliefs, values, knowledge and practices and, second, to engage with locals to ensure a common view of the issues, barriers and possible solutions. This means not only that they will seek improvements, but also that they will drive change as a community to achieve them. In Southeast Asia, dengue fever, transmitted by the Aedes mosquito, is estimated to incur annual direct healthcare costs of US $950 million. Since there is no vaccine, the usual approach to curbing dengue is insecticidal fogging of sites where Aedes breed. This, however, is only effective on adult mosquitoes, so public education and awareness campaigns seek to reduce the number of sites where stagnant water can collect. A limitation to this top-down strategy is that local perceptions of what might constitute a breeding site can vary. To address this, Schuster-Wallace and her team explored local attitudes to the risk of dengue fever in two urban areas in Malaysia — Putrajaya and Seremban. The towns have very different urban characteristics; Putrajaya residents are largely civil servants and enjoy a relatively high socioeconomic status, whereas Seremban is an agricultural town set amongst tropical forest. In both areas, the dengue rate is 40 times higher than the national target. Community groups were invited to participate in drawing maps marking possible mosquito breeding sites. The resulting rough sketches and landmarks were then imported into a geographical information system and georeferenced to create a digitised map of local knowledge. The maps differed significantly across the groups and, most notably, from the ‘expert’ municipal view of where the risk of dengue lay. The Water-Associated Disease Index (WADI) is a vulnerability mapping approach that integrates social and biophysical determinants of exposure and susceptibility to disease. Its outputs are maps that provide insight into complex pathways of disease vulnerability in the context of global environmental change. Incorporating and aggregating such elements as climatic conditions, land cover, population educational status and water usage practices, Schuster-Wallace and her team extended the WADI to identify factors that determine incidences of dengue in Malaysian states. Different patterns of vulnerability emerged across regions, linked to factors such as access to water supplies and the timing of monsoon rains. The map pointed to the inapplicability of a uniform, nationwide dengue prevention and management strategy for Malaysia: regional variations require region-specific strategies. “WADI has been validated as a viable tool for larger scale analyses,” enthuses Schuster-Wallace, who now aims to further augment the WADI methodology to better understand the dynamics of waterborne disease, and cater for data projections and scenario testing in a wide variety of contexts and conditions. In 2012, Schuster-Wallace and colleagues undertook an ecological quantification using data collected from 193 countries. The results indicated that for every quartile increase in improved access to water and sanitation, the mortality rates of mothers, newborns and children under five decreased by more than 1.5 per 1,000 people. More recently, in partnership with Save the Mothers’ Mother Friendly Hospital Initiative and a Canadian non-governmental organisation called H2O 4 All, clean water was brought to a Ugandan maternity ward. The WaSH and Wellbeing researchers observed that pride in the facility increased and sepsis rates dropped exponentially. The direct link between improved hygiene and safer drinking water and lower numbers of deaths has prompted Schuster-Wallace to shift the focus of the WaSH and Wellbeing programme to maternal and child health, particularly during the labour, delivery and post-partum period. Looking forward, the team is planning to combine its accumulated knowledge from working in a wide variety of communities across the globe to develop novel supportive programmes and policies with innovative financing. Through the implementation of WaSH infrastructure, education and outreach, and monitoring and reporting tools to create a blueprint for protecting women and their babies, this research has the potential to improve the health of some of the most vulnerable individuals in the most remote communities. This article was first published by International Innovation. Navigating to Safe Waters by International Innovation is licensed under a Creative Commons Attribution-NonCommercial-ShareAlike 4.0 International License.